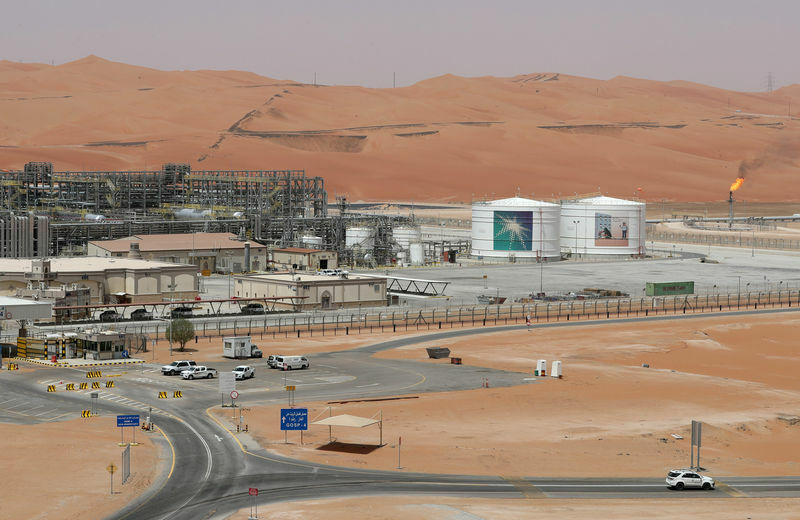 LONDON/RIYADH (Reuters) – Saudi Arabia has called off both the domestic and international stock listing of state oil giant Aramco, billed as the biggest such deal in history, four senior industry sources said on Wednesday. The financial advisors working on the proposed listing have been disbanded, as Saudi Arabia shifts its attention to a proposed acquisition of a “strategic stake” in local petrochemicals maker Saudi Basic Industries Corp 2010.SE, two of the sources said. “The decision to call off the IPO was taken some time ago, but no-one can disclose this, so statements are gradually going that way – first delay then calling off,” a Saudi source familiar with the IPO plans said. Saudi Arabia’s energy minister denied that Aramco’s initial public offering would be called off, in a statement issued early on Thursday. “The government remains committed to the initial public offering of Saudi Aramco, in accordance with the appropriate circumstances and appropriate time chosen by the Government,” Energy Minister Khalid al-Falih said in the statement. He said Riyadh had taken measures to prepare for the listing and that the timing would depend on factors including favorable market conditions, and a planned downstream acquisition in the next few months. The proposed listing of the national champion was a central part of Crown Prince Mohammed bin Salman’s reform drive aimed at restructuring the kingdom’s economy and reducing its dependence on oil revenue. The prince announced the plan to sell about 5 percent of Aramco in 2016 via a local and an international listing, predicting the sale would value the whole company at $2 trillion or more. Several industry experts however questioned whether a valuation that high was realistic, which hindered the process of preparing the IPO for the advisors. Stock exchanges in financial centers including London, New York and Hong Kong have been vying to host the international tranche of the share sale. An army of bankers and lawyers started to fiercely compete to win advisory roles in the IPO, seen as a gateway to a host of other deals they expected to flow from the kingdom’s wide privatization program. International banks JPMorgan (NYSE:), Morgan Stanley (NYSE:) and HSBC, were working as global coordinators, boutique investment banks Moelis & Co and Evercore were chosen as independent advisors and law firm White & Case as legal adviser, sources had previously told Reuters. More banks were expected to be named but no bookrunners were formally appointed despite banks pitching for the deal. Lawyers, bankers and auditors are all essential in the drafting the prospectus, a formal document that provides essential details on the company. “The message we have been given is that the IPO has been called off for the foreseeable future,” said one of the sources, a senior financial advisor. “Even the local float on the Tadawul Stock Exchange has been shelved,” the source added. Aramco had a budget which it used to pay advisors until the end of June. This has not been renewed, one of sources said. “The advisors have been put on standby,” a third source, a senior oil industry official, said. Sources have previously told Reuters that in addition to the valuations, disagreements among Saudi officials and their advisers over which international listing venue to be chosen had slowed down the IPO preparations.